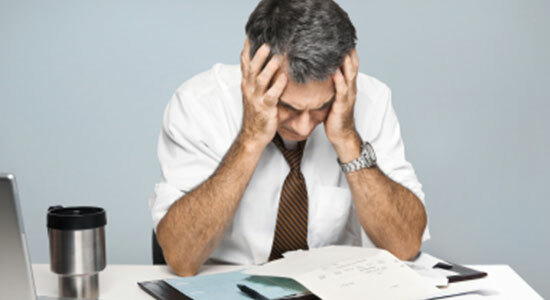 Anxiety - Can I Get Social Security Disability Benefits? Have you been diagnosed with severe anxiety? Is your anxiety so bad that you cannot work? Do you suffer from multiple mental health conditions? You may qualify for Social Security disability benefits. However, the Social Security Administration denies over three-fourths of initial applications – even when people deserve benefits. If your SSD claim was denied, contact our law firm immediately. You only have 60 days to file an appeal. We win the majority of claims we appeal for our clients. Trust Edgar Snyder & Associates to help you get the money you need. Those who have been diagnosed with anxiety may be eligible for SSD or SSI benefits, but the Social Security Administration's evaluation process is very tough. Even if you believe you qualify, your application is likely to be denied the first time. Best of all, there's never a fee unless we get money for you. If we don't win your appeal, all the time and effort we put into your case costs you nothing. Not Yet Diagnosed With Anxiety? Anxiety is a mental health condition that affects your emotions, cognitive abilities, and behavior. Depending on the severity, anxiety can even affect the body's ability to function physically. Statistics show that as much as 18% of Americans may suffer from an anxiety disorder. Common anxiety disorders include: panic disorder, PTSD, social anxiety disorder, and generalized anxiety disorder. If you believe you have an anxiety disorder, you should visit a physician to be diagnosed. You will need to have an official diagnosis and should be undergoing treatment before ever applying for SSD benefits. If your SSD benefits application was denied and your anxiety is severe, we can help. Remember, you only have 60 days to file an appeal. If you want help applying, we can do that too. The bottom line – your chance of winning the appeal is much better when you hire our law firm. Get started with a free legal consultation – no strings attached. Call 1-866-943-3427, or fill out the form at the top right. Our phones answer 24/7, so contact us today.